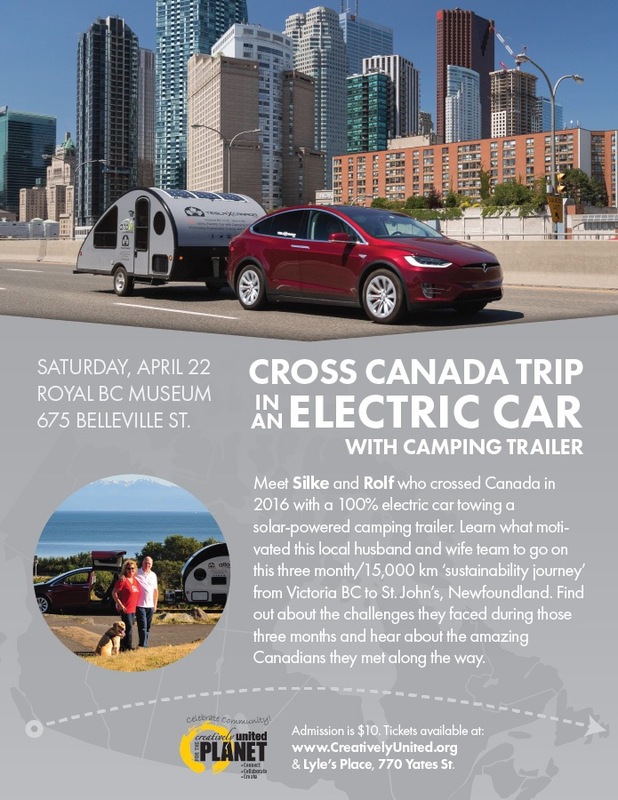 Just a quick reminder that we will give a presentation about our cross Canada trip in an electric car with camping trailer during the Sustainability Showcase Event at the Royal BC Museum, Victoria BC, Lecture Room, on April 22, 11am – noon. Please make sure you order your tickets online or buy them at Lyle’s Place, 770 Yates St., Victoria BC prior to Saturday! We will also show our car and camping trailer during this event right in front of the Museum’s entrance from 10am – 5pm.